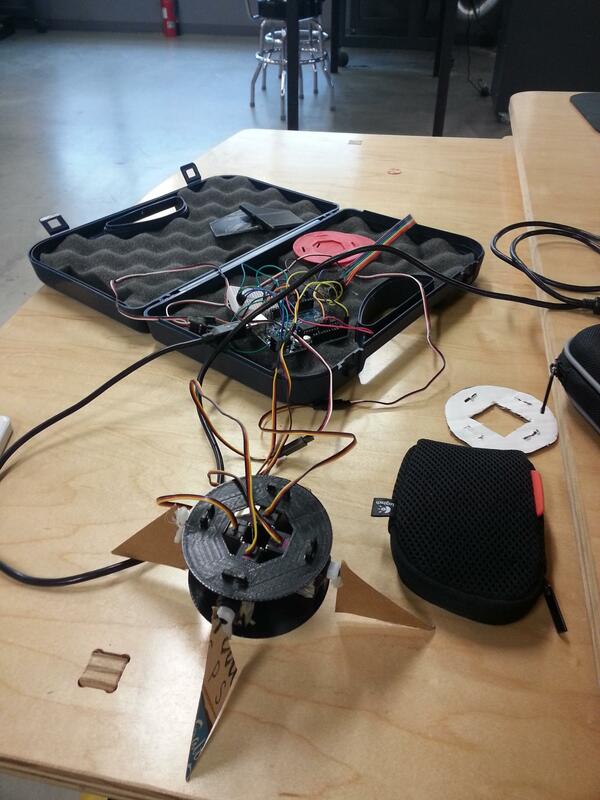 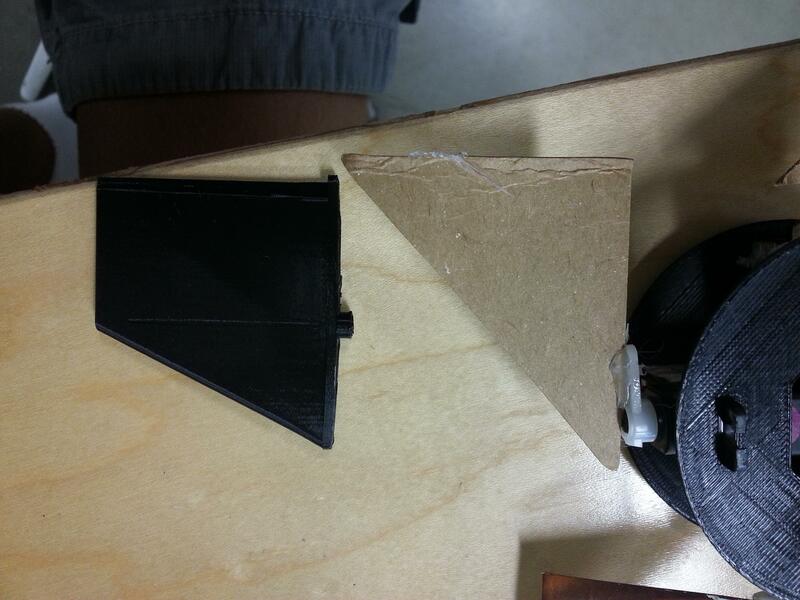 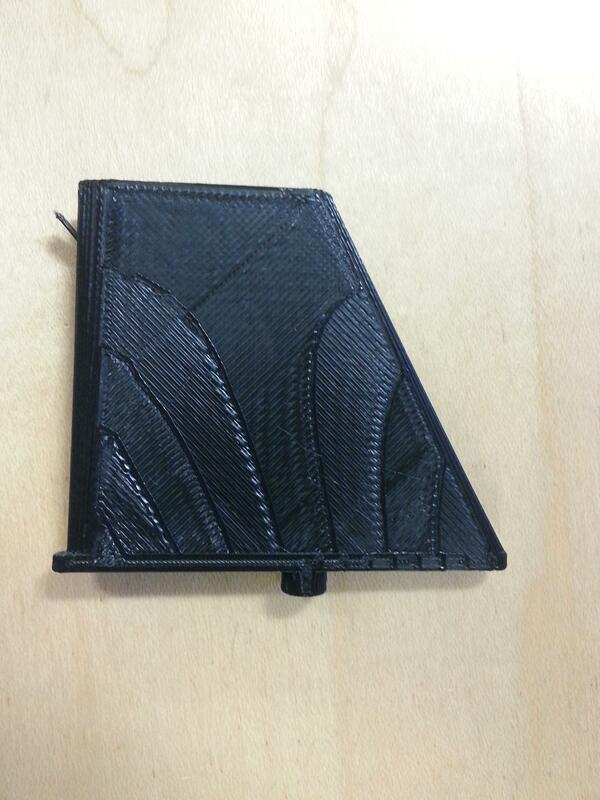 T-MinusArduino: Preliminary fin printing, lessons learned. 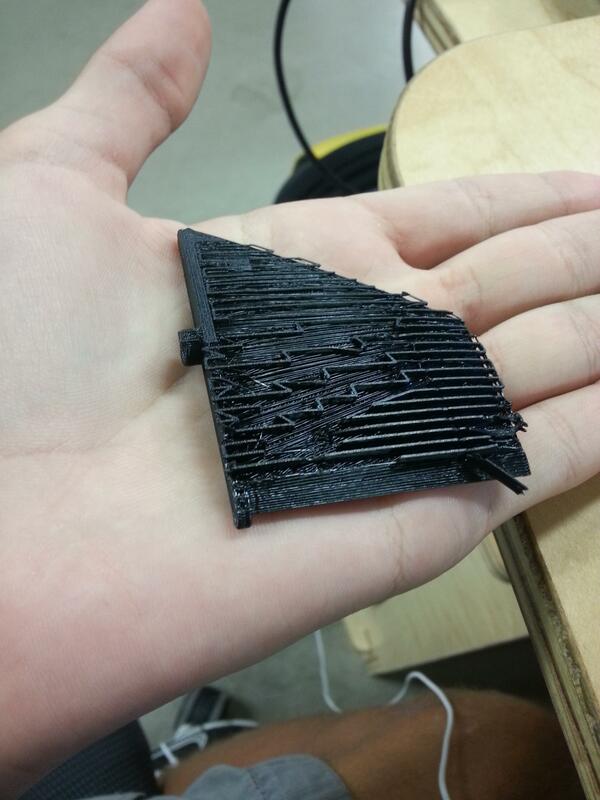 Yesterday I moved the fin into preliminary 3D printing. 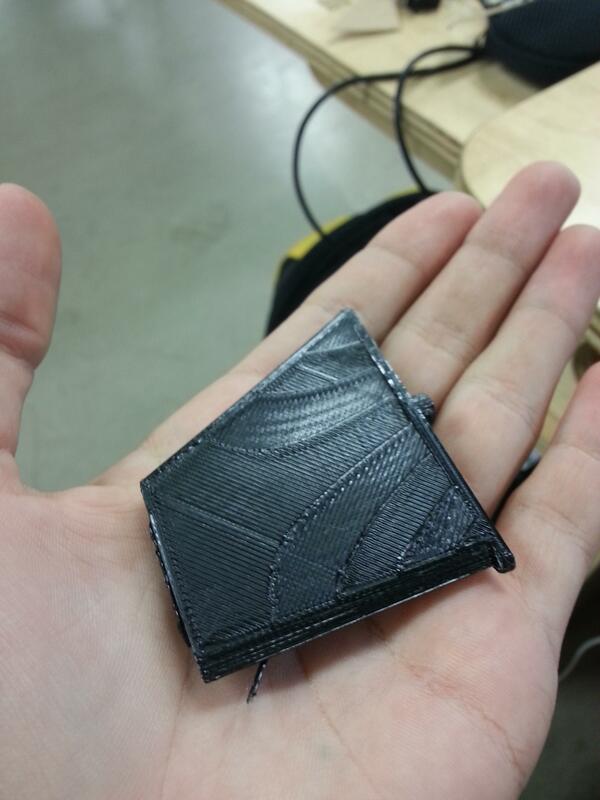 Initial print was flat on the print bed, apparently the support structure caused it to warp and the layers stacked strangely. 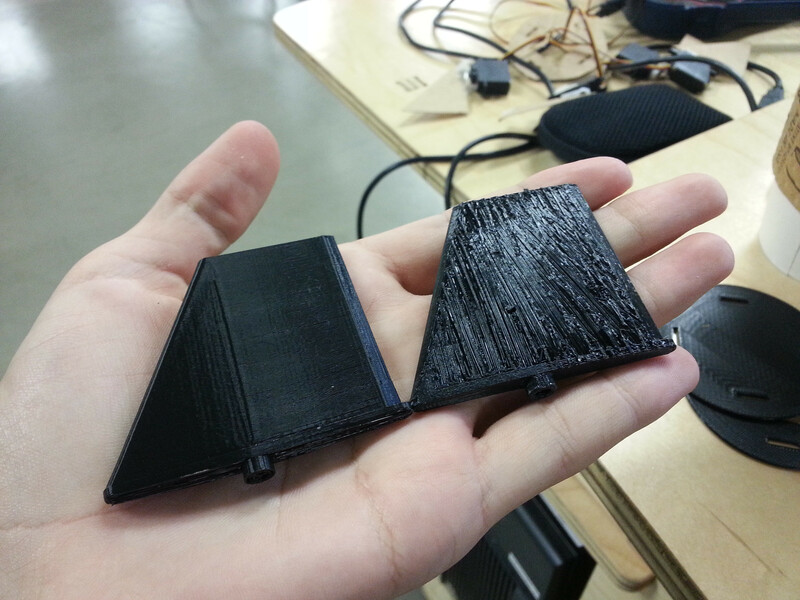 Vertical printing worked a heck of a lot better! 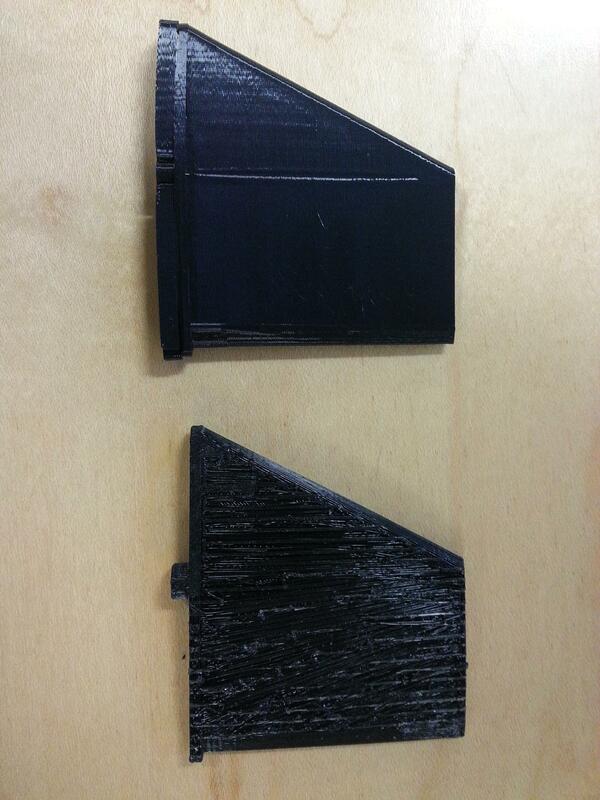 Also reprinted the baseplates to the correct size and spacing of servos.